thanks for posting this..been wanting to see it forever but couldnt find the full version. If you are interested in adopting a puppy mill dog, Contact Breeder Release Adoption Service. 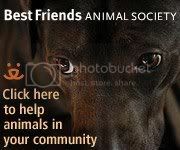 719-845-0120 www.breederadoptions.org . We just rescued 55 from Kansas and Missouri last week end. We have many male puppies.as well as several train wrecks that need a loving home for the remainder of their days.